Despite increasing tension between the two countries, the United States has not had an ambassador to Saudi Arabia since Trump became president in January 2017. Abizaid, a retired four-star Army general who led U.S. Central Command during the Iraq war, is expected to easily win Senate confirmation. Khashoggi, a Washington Post columnist and critic of the Riyadh government, was killed at a Saudi consulate in Turkey in October. His death fueled simmering discontent in Washington over Saudi Arabia’s human rights record and heavy civilian casualties in Yemen’s civil war, where a Saudi-led coalition is fighting Iran-backed Houthi rebels. The Senate and House of Representatives have passed resolutions that would end U.S. support for the Saudi-led coalition, an important rebuke of Riyadh. But Abizaid said the Trump administration believes strongly that U.S. support should continue. 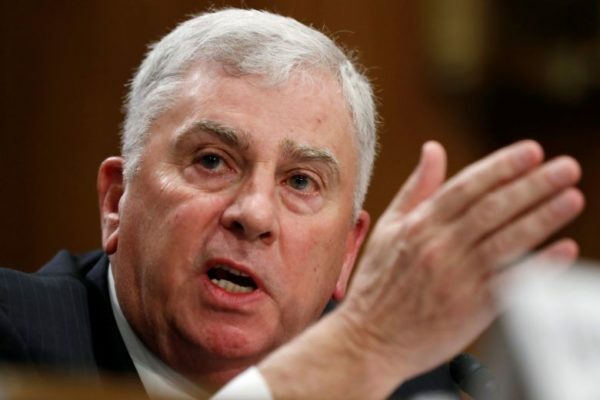 “Doing so bolsters the self-defense capabilities of our partners and reduces the risk of harm to civilians,” Abizaid said. It was also the confirmation hearing for Matthew Tueller, the current U.S. ambassador to Yemen and Trump’s nominee to be ambassador to Iraq. He also defended U.S. support for the coalition. Lawmakers have been sharply critical of Mohammed bin Salman, the powerful Saudi crown prince. Some blame him for Khashoggi’s killing and other human rights abuses. Eleven suspects have been indicted in Saudi Arabia for Khashoggi’s murder and Riyadh has denied the crown prince ordered the killing. “Saudi Arabia has engaged in acts that are simply not acceptable,” said Republican Senator Jim Risch, the committee chairman. Risch has held two classified briefings in the past two weeks for the panel to discuss Saudi Arabia. Senator Bob Menendez, the committee’s ranking Democrat, acknowledged the strategic importance of Saudi ties, amid threats from Iran. “But we cannot let these interests blind us to our values or to our long term interests in stability,” Menendez said. Menendez did not mention by name Jared Kushner, the president’s son-in-law who has met with Saudi leaders, rankling some in Congress. But Menendez asked Abizaid if he would insist on being fully informed about all White House interactions with the Saudis. Abizaid said he would. As the hearing continued, Republican Senator Marco Rubio said bin Salman had gone “full gangster,” an assertion repeated by another Republican, Senator Ron Johnson. “He is reckless, he’s ruthless, he has a penchant for escalation, for taking high risks, confrontational in his foreign policy approach and I think increasingly willing to test the limits of what he can get away with the United States,” Rubio said. Abizaid said in prepared remarks that the Islamic State has been “nearly vanquished on the ground,” but remains a “potent threat” to the United States and its allies. While contradicted by some military and intelligence officials, Trump announced in December that he would withdraw all U.S. forces from Syria and has declared that the militant group has been driven out of all its territory. After criticism, Trump has since decided to leave hundreds of U.S. troops in the country over the longer run.